Take an inventory of all the ways your kids and teens access the internet—from phones to tablets to gaming systems. Odds are, your kids may have gotten new devices over the summer. Track them all down. Check the settings. Get a better understanding of how they access content online. When kids go back to school, they spend 7+ hours a day outside of your home and your supervision. That means it’s more important than ever to think through putting the right safeguards on their mobile devices—phones, tablets, etc. Content filters help block inappropriate content. Parental controls can prevent kids from downloading dangerous apps. And mobile device management software can help set limits on usage. Social media concerns many parents, as it exposes kids to dangers like cyberbullying and inappropriate communication. Social media monitoring tools like Bark alert parents of potentially risky behavior, providing a good opportunity to start a dialogue with kids and teens about their online behavior. As a parent, you have a right to know how your school is protecting your kids online. Ask administrators what kinds of content filtering they have in place. When schools issue laptops or tablets to students, they usually put some form of content filtering in place. We’ve found, however, that some of these filters are applied on the school’s network, not on the devices themselves. This means that once students leave school, the device is no longer protected. Talk with administration to find out what safeguards are in place on school-owned devices that leave campus. If possible, take steps to add protections to any devices that don’t have them once they leave the school. A new school year means more homework. More homework means more internet use at home. Don’t let your kids get knocked offline the night before the project is due. Make sure your home WiFi is equipped to handle this extra usage by checking out our WiFi tips here. 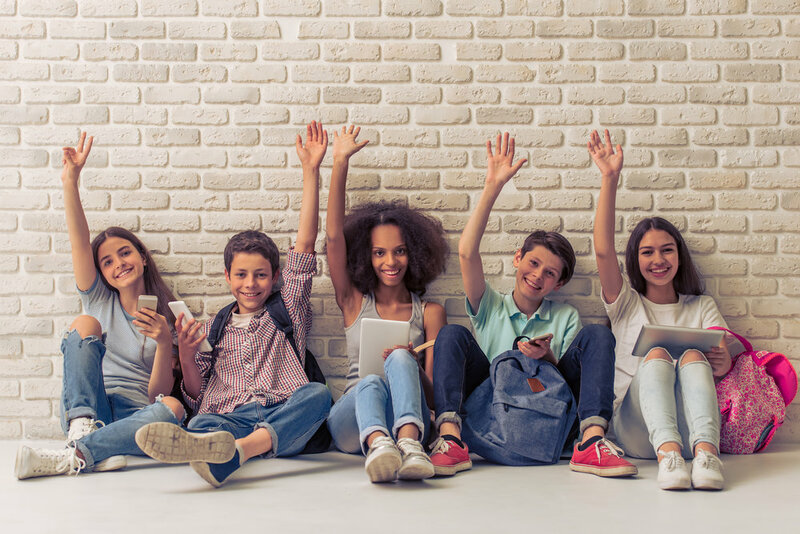 When your kids have friends over to work on homework or just to hang out, they will probably bring internet-connected devices with them. Make your home a safe space by implementing a content filter on your entire home wireless network with solutions like OpenDNS. Technical safeguards are great ways to put guardrails around your kids’ experience online, but they’re no substitute for healthy parent-child communication. Talk with your kids about everything from when it’s appropriate to be on their smartphones to what’s appropriate—and inappropriate—to post on social media. It may be awkward at first, but the transparency could mitigate risks down the road. One tool that some parents’ use to communicate with their kids about online activity is a technology contract. These contracts outline parents’ expectations for how their child will use technology, and give clear consequences for when it is misused. Understanding how your kids use technology, where the risks lie, and what safeguards are available can be overwhelming. That’s why we help shoulder some of that weight by working with families to create comprehensive internet safety plans customized to their needs. If you think you may need help, let us be that resource. Contact us today to schedule a consultation.